I’m totally obsessed with Peanut. Her and Pudding are like one person - I call them the P’s. I went away for a couple of days last week and I felt like a new mum. How did she sleep? what colour was her poo? etc. So exciting news - it looks like we WILL be launching the album and doing some shows in October in the US. Cant wait - also St Francis Day is a big deal in the US and a lot of churches open up their doors to all animals. Im definitely going to the one in New York - maybe will will perform the requiem - would it be confusing if I actually wore a dog suit? I think I could make it work and still be taken seriously. I’m feeling sprung. Check out Peanut in the daffodils - i’m obsessed - she’s a polly pocket of a dog. My great goddaughter calls her Poonut which I almost prefer. i’m being way too sketchy on my blog - no commitment - forgive me - I have so much to say and cannot blame the lacking on school runs, bath time or 9-5 job for I have none. Will do better. Did a radio interview this morning in BBC Oxford for the BBC radio Ulster Sunday show with John Toal - he was a lovely fellow and I really enjoyed talking to him and didn’t swear or even say bugger or sod or anything remotely Essex. People CAN change. The album is doing well, please tell all. your friends and that social media sort of thing. Looking likely that we will do some shows in the US later this year to coincide with the hubbys touring with that silly band he’s in - but i’m happy to let him ride my coattails if it makes him happy. What else - thats all for now- will do better. Trailer from the concert - it was amazing!! I want to do a proper blog about the concert - it was amazing. So the concert is in less than 2 weeks - the album and artwork has been delivered and working on the program - Theres been some really nice press this week around the album and concert - here’s a link to the album on pre-order - God i’m excited/nervous about it all. Wish me luck. Exciting news - the album has been mixed and is sounding KILLER - Im beyond thrilled. 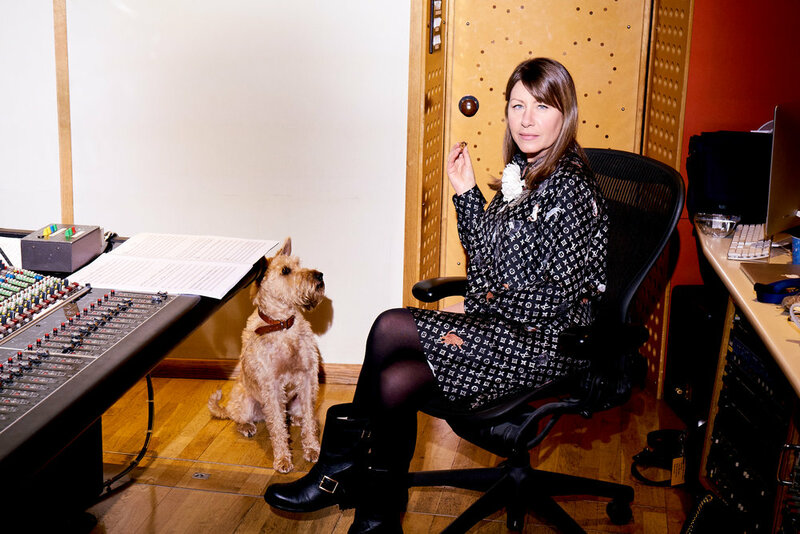 Pete and I recorded Alfie Boe at our studio in the country, he was of course brilliant - and i’m recording soprano Katy Batho next Tuesday. Hoping to get the album delivered and off to the manufacturer next week - its crazy releasing your own record - i’ve had to set up a record company - Wistle Records - check out the logo - that is an actual outline of my girl Wistle from a photograph - we were on a road trip in my split screen VW and she was up front and so happy - I miss her loads. Also gearing up for the concert on 31st January at St James in London - Im so excited - Peter Egan will be speaking at the concert. He is an amazing man - look him up. PS i’m being interview on BBC Radio London Barkin Hour next Thursday. Tune In to hear what a real Essex accent sounds like. Nice pic of me and Alfie and his golden Red who chased the ponies like Fenton in Richmond Park and would not come back. So last Wednesday I spent the day at ANGEL studios in London recording the Royal Philharmonic on the Animal Requiem. They really are the best orchestra in the world I think. It was so exciting to hear the music played with real people - no offence to the synthestrations - but there’s nothing like the real thing. Don’t forget to buy your tickets for the concert at St James in Piccadilly on January 31st. As the date moves closer to the recording of the Requiem i’m going to write more regular blogs! 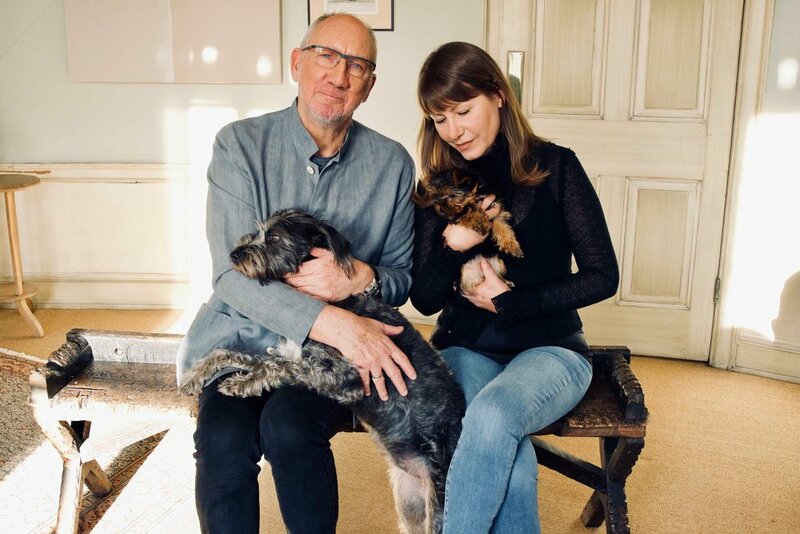 I don’t want to bum anyone out with this post - but it does feel relevant - Pete (my husband) and I really do love dogs - for the last 18 years we’ve owned many - for 11 years having a pack of six! 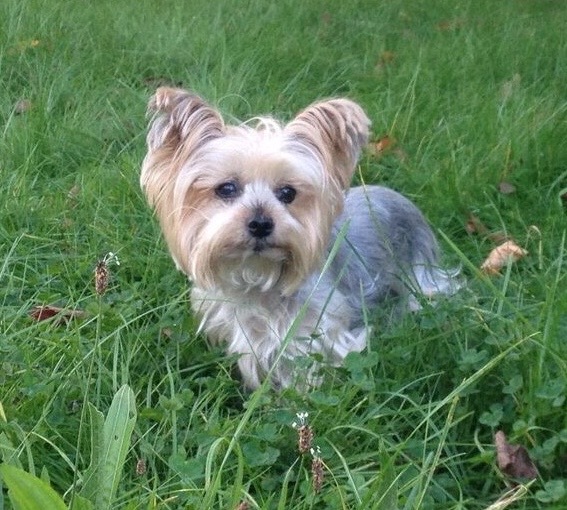 Two weeks ago, our little Yorkie, Wistle passed away. She slept on my pillow for 13 years and I feel her loss deeply. Two days after she passed, quite unexpectedly our poodle Cracker, also passed away. They were the last two of our original pack, and I think they all wanted to be together. The shock was awful and the loss deeply felt. I can only write about It now. And this is one of the reasons why I composed the Animal Requiem. For all of us who have lost a much beloved pet - the pain we feel is equal to the love we felt for them. With this music, I honour and remember all the animals I have loved and lost. All their lives have had an extraordinary impact on mine and I am forever grateful. There will be a concert of the Animal Requiem in January 2019 - and I will have many photos to pin to the remembrance board and many candles to light. Wouldn’t change it for anything. At the end of last year I had just finished composing the music for a theatre piece which happily moves forward in New York. I get itchy when i’m not writing, so I was keen to work on something new. I had always wanted to write a Requiem, although to be fair it was a desire that came from being a misunderstood genius in my teens and I imagined that I would die young and my own Requiem would be played at my funeral, where the impact of this masterpiece would send everyone into shock and regret at how my extraordinary gift was not realised and appreciated whilst I was still alive. and how sorry everyone would be. But it was too late. So, I didn’t die young - and I grew up a fair bit (and had lots of therapy). But I came back to this idea to write a Requiem - and I honestly can’t remember how the focus shifted to Animals. These ideas really do seem to drop in from the sky. I am crazy about animals. All of them. There is an innocence, vulnerability and endless capacity to love -whatever the conditions are that surround them. Truth is, i’m a bit of a weird fucker. Close friends and family - husband topping the list - make huge allowances. But i’m never going to have Kardashian popularity, besides my arse is not big enough and my hair is limp and dull. We have 5 dogs, all different, mostly rescue, one flown over from Antigua found nearly dead by the side of the road. They all LOVE me. Despite my mood. Its priceless. We all know that throughout the world there are many animals loved and cherished - but also abused and neglected. I personally find it almost impossible to watch the series of videos that come up on my social media about human beings capacity for cruelty. It causes me physical pain in my chest. However, something I noticed recently is a rising in consciousness around the planet not only for the planet itself, but for the treatment of animals as sentient beings. I credit the “millennials” for a great deal of this. The generations younger than me, who have great passion and take personal responsibility to make changes. I don’t see anger and blame for the current state of the world. I find it extraordinary and inspiring. In the last 5 years I have said goodbye to four dogs - all living into old age thankfully. They all took a piece of me with them. There are no words to describe the heartbreak felt. Someone said to me that the pain we feel is equal to the love we felt. Bear with me, i’m tying it all together - i’m not a great writer. When I was 17, while a lot of my friends were waitressing or working in the high street to earn money for Marlboro lights, I spent 2 years playing the organ in our local crematorium. I played for over 2,000 funerals. I understand the importance of the funeral on many levels. Silent and dignified - it is an opportunity to grieve, to say goodbye respectfully, to remember, to honour and to celebrate. So the Animal Requiem is in response to all of the above - A memorial to honour and remember all the animals we have personally loved and lost - at whatever age - all animals we love today, to raise consciousness of the suffering and neglect of any animal and to facilitate change through music and love.